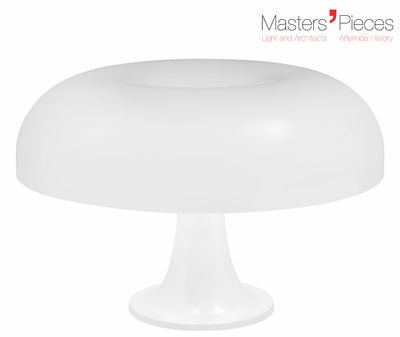 The Nesso Lamp is a classic icon in the history of modern space age design. An expressive table lamp that combines the sinuous curves of 1960s design with the minimalist sensibilities of timeless modernism. The stunning Nesso Lamp was designed by the Italian designer Giancarlo Mattioli for Artemide back in 1967. 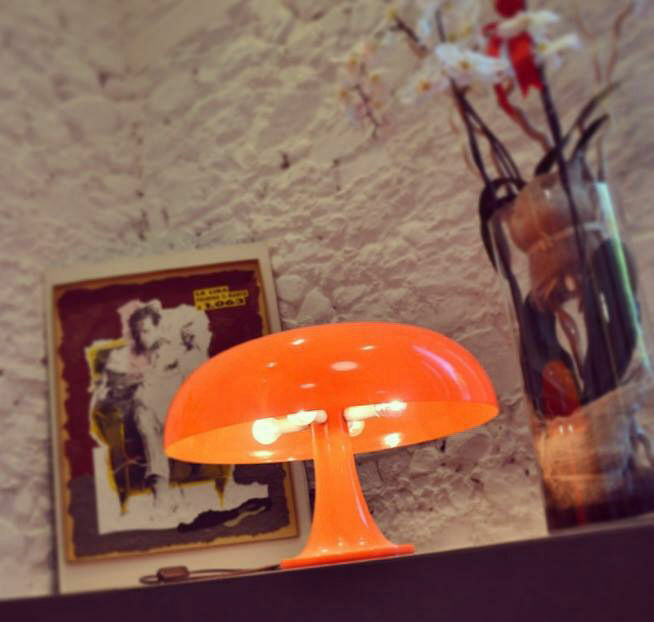 This lamp has been in continuous production by Artemide for the last 40 plus years. 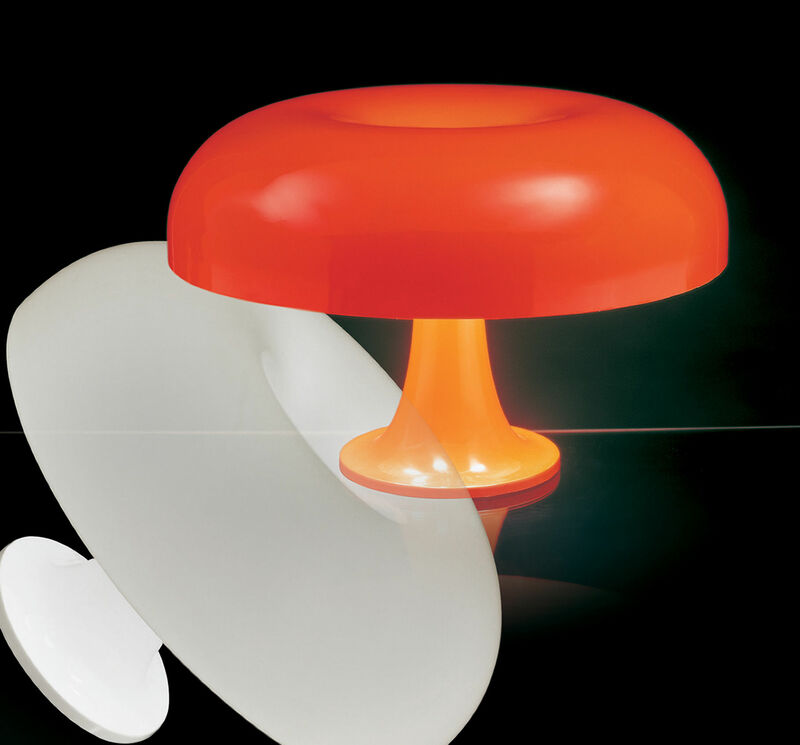 Artemide's Nesso Lamp features a body and diffuser made of injection molded ABS thermoplastic, available in either white or orange. The Nesso Lamp provides a beautiful direct and diffused light, just turn it on and watch the whole thing glow.